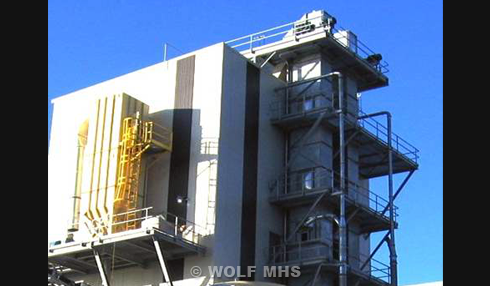 Wolf MHS designs and manufactures bucket elevators specifically for each required application. The design is done with the “complete system” philosophy. The Bucket Elevator is sized and engineered with either chain or belt to which the buckets are attached as required. The head section and boot section will be fully assembled to minimize erection time and cost. The design will take into consideration material bulk density, feed rate, accessibility, maintenance, as well as many other factors. Explosion venting and dust collection are incorporated as required.